Behold! The completely new free medical template has arrived! The web template is called 'Medical'. Our free medical templates are a fantastic solution for creating medical Ð?Â±nternet site or a site for medical center. Our editors spend a good part of working day surfing the net for new free web templates. In addition to that, we also validate the Html code and CSS and ensure that in addition to good looks the template is easy to modify and is perfectly up to modern day coding requirements. What good is a free medical template? Well, most of our free templates are quite similar to the premium templates in the terms of quality. Unless of course you are a multimillion online company which in my view really requires some custom website design you can safely and securely go with free web template. Not all of the free web templates available on the web resources websites and webmaster discussion boards are of proper quality, but a lot of them are pretty good and many are almost just the same as premium or even better. That no doubt depends on who developed the template. 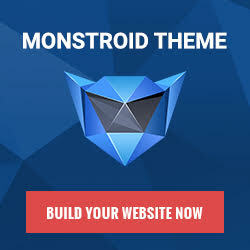 Be it a novice you will probably find it not that much of a value but there are plenty of qualified designers who produce fre website templates as their hobby projects or perhaps out of sheer humanism and desire to make the world a better place. Lots of work and creativity are devoted to nowadays free website templates - these are no longer a play ground for total newbies, nowadays the experts of website design are filling the market with the samples of their high quality works - just for fun and totally for free. Our team are here to make certain you find the free medical template that will fit your online project best of all. Only best of the best medical templates at Website Templates Online.com.